Now for something really easy to do!. Sit Still and Be! This is most likely the advice you don’t want to hear but the busier you are, the more important it is for you to do it! 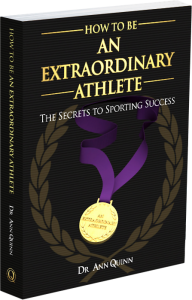 Extraordinary athletes, executives and performers make space for the most important person of all, themselves, to simply be, so they can be all they are meant to be. When you make time to be simply sit still and be quiet, you give yourself the gift of allowing your brain to shift from the left side to the right side, the realm where your personal genius resides. It is then you brain waves shift into alpha state and you receive insights and reflections to enable you to be Extraordinary. I make sure I do this at least three times a day and the results have been amazing Taking time away from your work for some short breaks of silence reinvigorates you and gives you all the answers you need. Give yourself that gift too and make time for you to be still and connect to the power of your Extraordinary mind. Make time daily to be still and tune in to the Extraordinary genius that already exists within you.